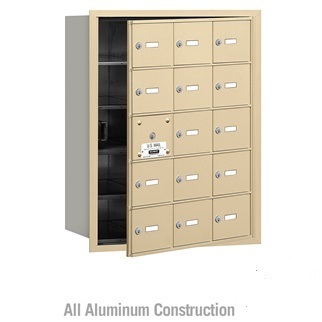 USA Building Supplies has both standard and custom configurations available of front loading horizontal mailboxes. 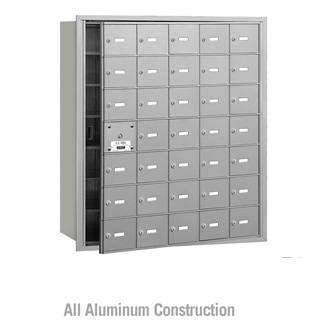 Standard configurations of USPS 4B+ Approved horizontal mailboxes can be a maximum of seven single high single wide resident doors high (referred to as an "A" door size) and five wide of the "A" size door. Front loading USPS 4B+ compliant horizontal mailbox cannot be wider (more doors across) than it has doors high. The primary purpose for this limitation is the weight of the gate cannot be supported in this type of module configuration. USA Building Supplies offers nine different standard configurations consisting of seven, six, and five "A" doors high and five, four, and three doors wide. 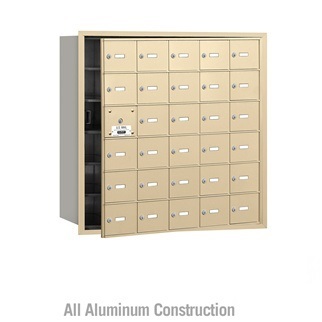 Customized horizontal mailboxes can be built within manufacturing and postal restrictions. Different size doors can be built into door arrangements to accommodate tenants who receive larger amounts of mail. An oversize door with a slot can be built into a configuration for outgoing mail. 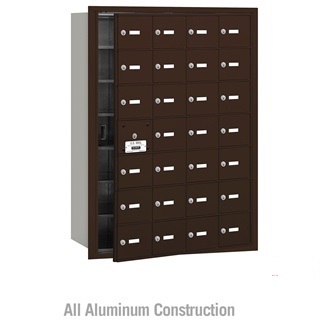 Parcel lockers are another sought after custom option that prospective clients ask for so their residents can receive packages. Two additional considerations should be made before purchasing either standard or custom horizontal mailbox. First, USPS 4B+ compliant mailboxes are approved for replacement purposes only. Second, horizontal mailboxes can only be recessed into a wall. 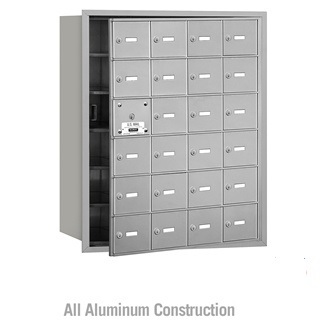 Inquire today about horizontal mailboxes from a USA Building Supplies' expert. USA Building Supplies is dedicated to providing the latest information regarding postal regulation changes as it pertains to the transition from USPS 4B+ compliant horizontal mailboxes to 4C receptacles. In 2006 the USPS put forth the new postal regulation USPS-STD-4C which required all new construction projects for wall installation mailboxes to use 4C mailboxes. USPS 4B+ horizontal and vertical mailboxes were still endorsed by the USPS, however only for replacement and remodels. The gray area in this regulation typically comes when a property owner is renovating their property, including the area for the commercial mailboxes. Often times enough wall space is not available, even with the proposed remodel. In these circumstances, USA Building Supplies advises the prospective client to consult with local postal officials to come up with a mutual solution concerning their centralized receptacle needs. One major consideration the prospective customer and USPS should discuss in this conversation is the type of load the new commercial mailboxes will be. Rear loading 4C receptacles and horizontal mailboxes require a secure room for the USPS to load the mail. Front loading receptacles require more clearance for the postman to deliver the mail in an area that typically has more traffic than a dedicated room. 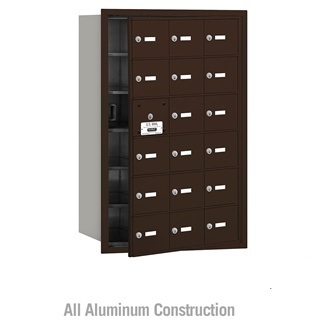 Contact a commercial mailbox specialist at USA Building Supplies today. Contact the building supply skilled professional at USA Building Supplies for information on our full line of Commercial Mailboxes and building accessories CALL 1.855-373-5381.